In a 1990 episode of “The Oprah Winfrey Show,” the ex-wife of labor secretary nominee Andrew Puzder alleged that her husband had abused her, telling the television host that Puzder had “vowed revenge” after she went public with her accusations. Lisa Fierstein, Puzder’s ex-wife, told Oprah in the hour-long episode (titled “High Class Battered Women”) that the former fast food restaurant executive had promised that she “will pay for” the allegations. 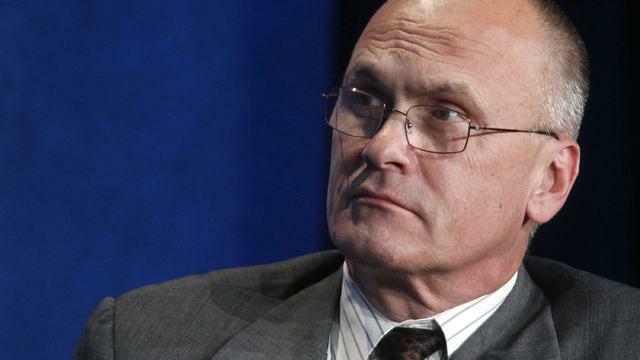 Who is Andy Puzder, Trump's pick for labor secretary? The two divorced in 1987, and months after her appearance on Oprah, Fierstein recanted her domestic abuse charges as part of a child custody agreement. Since then, she has said that she made those accusations at her lawyer’s prompting. Puzder, for his part, has denied the allegations. And according to a spokesman, his former wife has had a cordial relationship with the family now, even spending the last two Thanksgiving holidays with them. Fierstein’s comments are once more in the spotlight following Puzder’s nomination by President Trump to lead the Labor Department. And the tape, first obtained by Politico, has been viewed by at least two senators who will be questioning President Trump’s labor secretary pick in his confirmation hearing Thursday. Sen. Patty Murray, D-Washington, addressed the video -- which she said has been made available to all members of the Senate Health, Education, Labor and Pensions (HELP) committee -- in a press conference Wednesday. Murray, the Washington Democrat, said that the committee also had other considerations when weighing Puzder’s nomination, including revelations that he had employed an undocumented immigrant and reported instances of sexual harassment at the fast food chains owned by CKE Restaurants like Hardee’s and Carl’s Jr.
“A corporate culture grounded in objectifying women has no place in our government,” she said.